If you are having a home birth its a good idea to prepare a container, cooler bag and ice packs just in case you have to go to hospital. If possible, please birth your placenta onto a clean surface or absorbent sheet.Â Birthing into water birthing pools is perfectly fine. I advise clients to place your placenta into the placenta container within 30 minutes of the cord being cut and inspected by the midwifes, even if it is still attached to baby. To prevent contamination, please ensure Mum births her placenta onto a clean surface, inco pad or towel, not inside the birth pool. MIDWIFE: Before inspecting the placenta please wash your hands and wear new disposable gloves to prevent contamination. Please place the placenta immediately into a clean, lidded container after inspection, even if itâ€™s still attached to baby. Please do not put liquid, gauze, utensils or any other foreign objects into the placenta container. Your container containing the placenta must be immediately put into the refrigerator or into your cool bag with ice or ice packs and stored at between 0-4Â°C. You will have to buy thermometer to ensure that it is kept at this temperature. Do not allow ice or water to come into direct contact with it. Take note if meconium is present in the amniotic fluid. If heavily meconium stained please add saline solution to the container which may help prevent bacteria growth. Smoothies will not be made if meconium is present. If your placenta is in a cool bag it must be kept at between 0-4Â°C for no longer than 4 hours. Your birth partner, doula or family member should take the placenta home as soon as possible for refrigeration, no longer than 6 hours after birth. Hospital births â€“ Store placenta container inside cooler box/bag on plenty of ice immediately after cord cutting. Caesarean births â€“ if possible bring the container into theatre or place placenta into a yellow biohazard bag. At earliest opportunity store in cooler bag on plenty of ice and refrigerate within 6 hours. If your doctor would like to send your placenta to pathology for testing, ask if they can cut off a small piece for testing or if a visual inspection of the placenta will suffice. 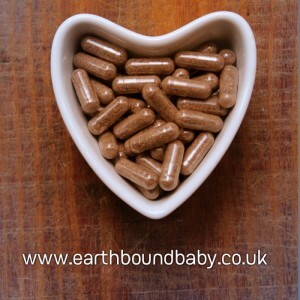 It is very important that you ensure your placenta will not be treated with alcohol or other chemicals. If your placenta has been left without refrigeration or cooler bag for longer than 12 hours this may yield bacteria growth. There may be a possibility that the placenta may no longer be usable. I will inspect and inform you should this be the case.